I always thought that as Leo got older he would become easier to buy for, but it turns out that as he has got older I have found gift buying much more difficult. Leo's biggest passion in his spare time is gaming, and his two favourite things are his Nintendo Switch and his Nintendo 2DS. So as I have been busy making lists of things that I know that he will absolutely love, I am determined to only purchase items that I know will get use, so this year that will consist mainly of books and additions for his passion of gaming. 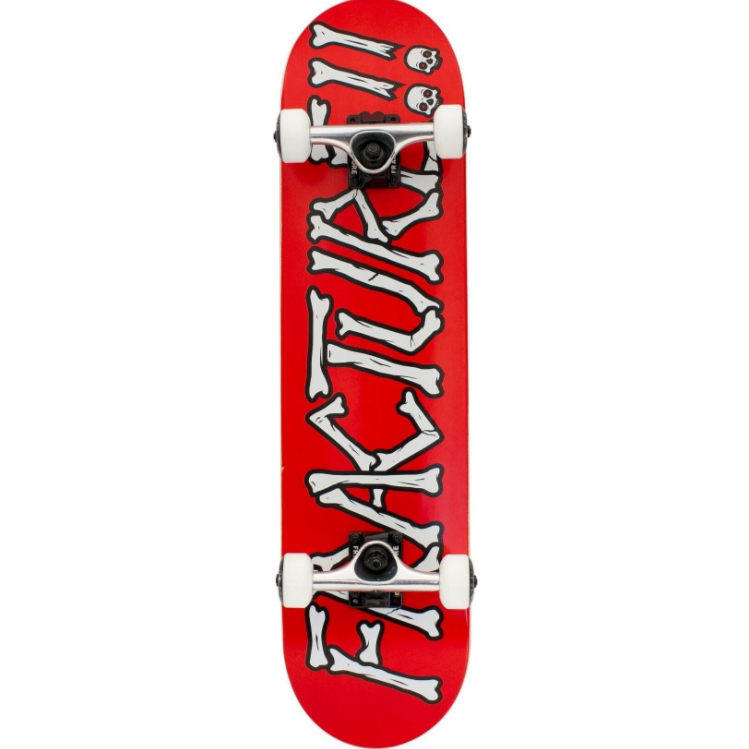 I have also been thinking about things that he will love, but wouldn't necessarily ask for, so that he gets a few surprises he wouldn't expect to find under the tree! 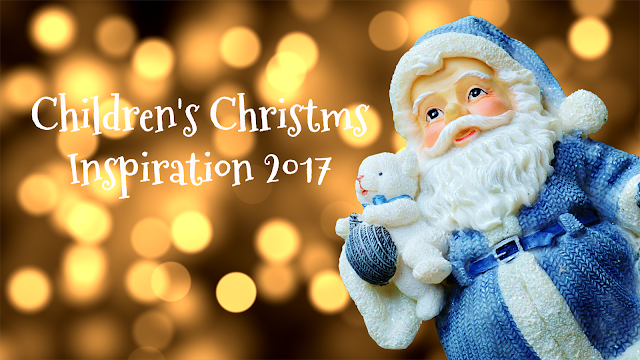 I thought that it would be nice to kick start this year's guide with some fun, budget friendly Stocking ideas! Check out these fun additions from Zing Toys! I was really excited to see that the Fingerlings have made the top 12 DreamToys for Christmas 2017, it's set to be a popular toy this year, so if you are thinking about making a purchase, check out how we got on with little Mia over the Summer! We love nothing more than sitting down and reading a book together, and just like every year I like to treat him to some new story books. Leo has a few personalised stories and these are by far his favourite books, and I know that he is going to adore 'My Golden Ticket' from the people who brought you 'Lost My Name'. 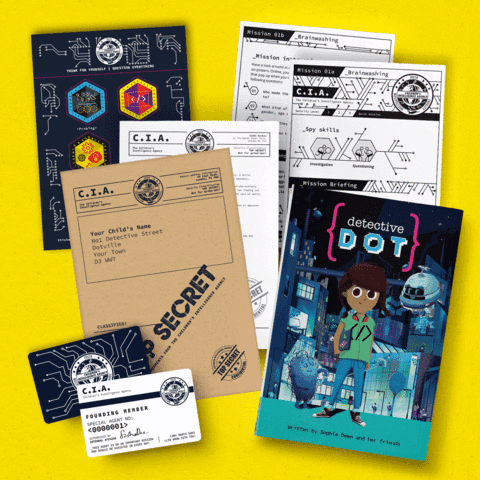 The book is a rather special story that is written from Leo's view point (or however you personalize the book for your child! 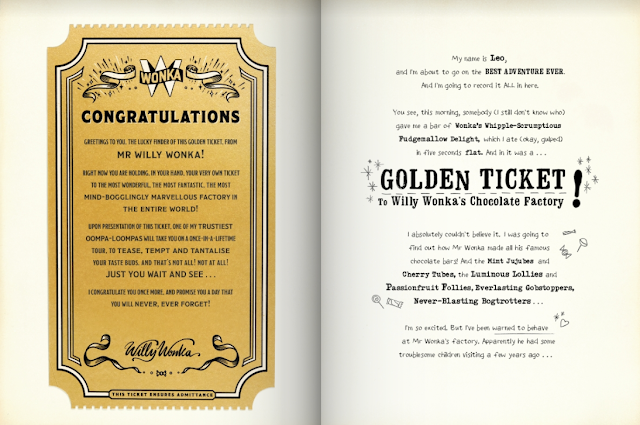 ), at the start of the book your child is presented with their Golden Ticket, and then it is time to set off on a rather exciting adventure into the marvelous world of Willy Wonka and his chocolate factory! 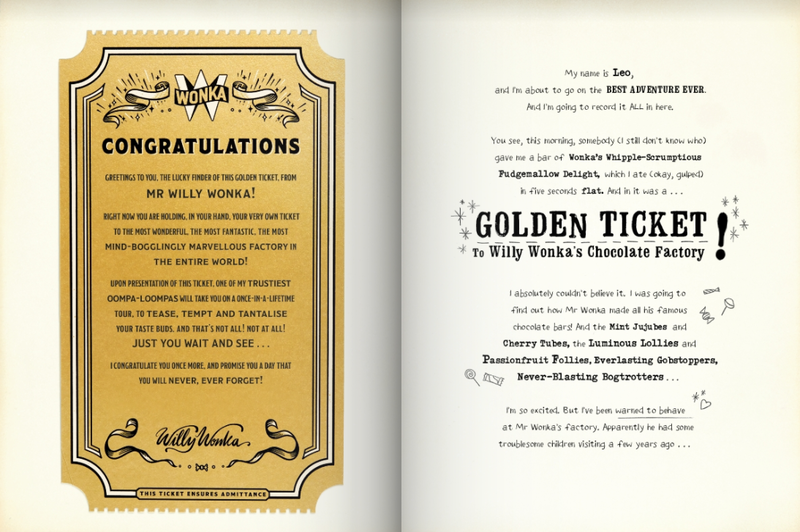 Of course you are going to make friends along the way, and in this story your child will meet an Oompa Loompa named Lomo, and he will travel with you around the chocolate factory as you collect the ingredients that you need to make your very own Wonka bar! I absolutely love this book, the illustrations are brilliant and the story is lovely, it is sure to have your children excited for the next page! Another book that I think would make a great addition under the Christmas Tree this year is Detective Dot, an 8 year old girl with a rather special power. She can talk to he stuff! From a memory chip with amnesia (Ironic? I think so!) to a football with an over inflated ego (This is sure to give adults a good giggle too), these objects have big questions about who they are and where they came from! 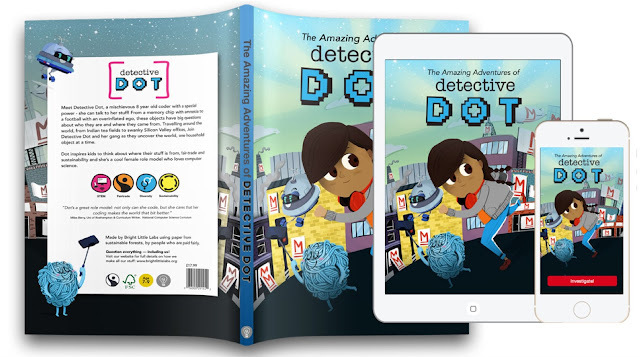 Dot travels around the world with her gang answering the questions as they go. Dot inspires children to think about where their things actually come from, and I think this is a brilliant thing. Leo is always asking questions like those being posed in this book, and I love how the answers are presented. It is definitely a book that we are going to enjoy reading together at bedtime. Amongst the things that Leo has put on the list himself, I am thinking about some slightly different ideas...Skateboarding is something that he has been talking about for the last couple of years, he has always been amazed when he has seen people in the skate park and asked if he can have a go, and although Leo hasn't talked about a skateboard recently, I thought that at 6 years old it might be a nice time for him to learn. 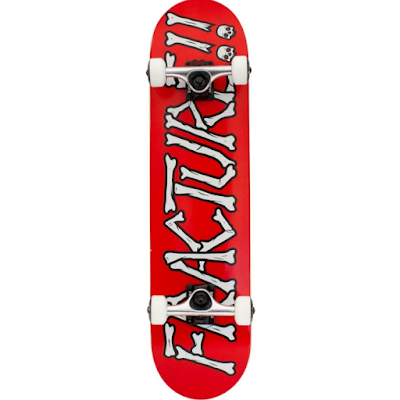 When it came to looking for the perfect board on Skates.co.uk, I was pleased to see that they had a helpful purchasing guide available for parents like myself who quite simply didn't know what they were looking for, and it was through this that I managed to narrow the selection down to this Fracture Broken Series Complete Skateboard in Red with a 7.5" board. You can never go wrong encouraging children to get outside and have fun, some of my fondest memories are summer's spent riding around on my bicycle. In fact if I cast my mind back far enough, I recall being a young girl of around 3 or 4 and pretending my bike was a pony. Leo is no different in that sense, he loves the great outdoors and these days he will ride his bike alongside me as we walk our dog. If you have a bike fanatic like I do, then you need to know all about the Mini Hornit (and you may already have done if you are familiar with Dragon's Den!). 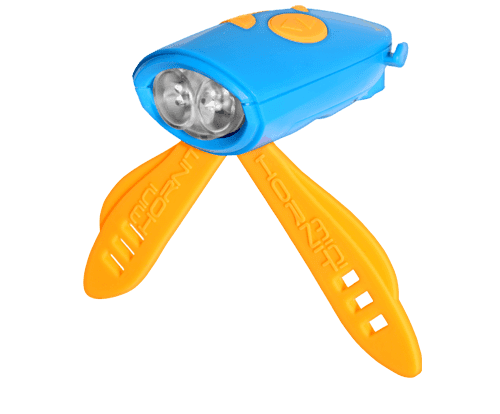 The Mini Hornit is a lights and sound accessory for children's bikes, and it comes in a range of different colour ways (Blue/Orange, Red/Blue, Purple/Pink and Black). It can be attached onto a bike or a scooter via it's wings and has 25 different sound effects, white safety lights and funky green lights! What are the sound effects? 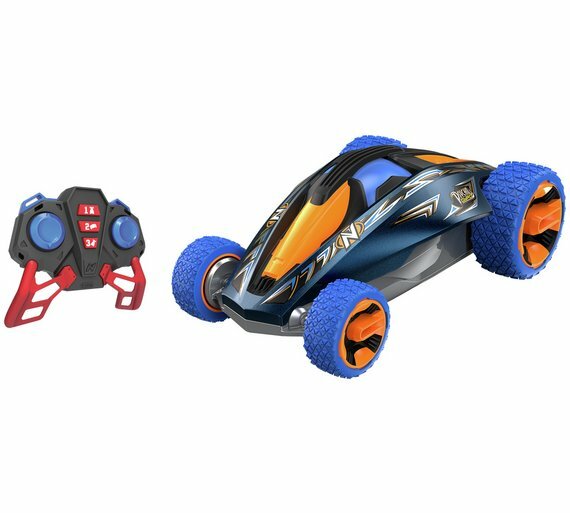 If you are thinking about some of the cool toys this Christmas then you might want to check out the Nikko™ RC Psycho Gyro! It has Gyro stunt technology (hence the name!) which lets the operator spin the car around in 2 wheels (Whaaaaat! ), if that's not enough then what if I told you it could do spins and doughnuts too, oh... and on just one wheel!? I think I know that Dad's all around the world would be kicking themselves if their child unwrapped this on Christmas Day! The Nikko™ RC Psycho Gyro is available in Blue and Green and retails at £59.99. I had a fair few Christmas ideas for Leo this year, one was replacing the iPad that had finally given up the ghost and refused to unlock for the next decade and another was a start out camera as he adores taking his own photographs. At this moment in time he only has the use of his Nintendo 2DS camera which doesn't really offer the best set up. Why not go for something that can do everything in one? A tablet would be too big to realistically use as an everyday camera, and a camera alone wouldn't replace the broken tablet... But what if there was a phone that could do everything? Now don't get me wrong, I am not for one moment suggesting that I am going to provide my 6 year old with a phone contract, or even a sim card for that matter, but what if I could find a fun phone that could be linked to the wifi for the apps, have a decent camera and provide an overall solution? Then I discovered the Alcatel A5 LED Smart Phone. 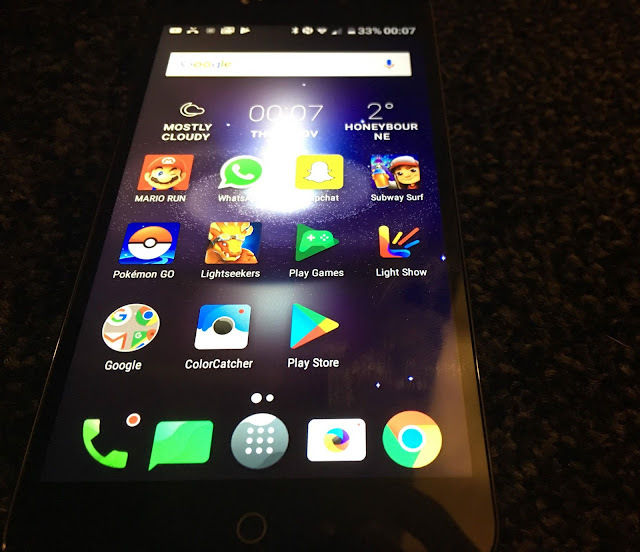 The Alcatel A5 LED is the very first of it's kind, the phone is literally cased in LED's (tell me a pre-teen/teenager who quite simple won't love this!?). These LED's can be customised by colour, themes and patterns. You can have a different light theme for each individual contact, that goes for incoming calls, messages and social media alerts. 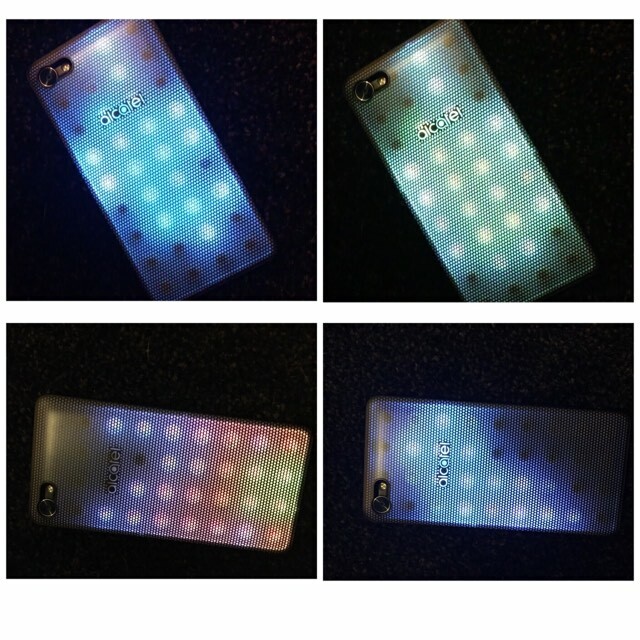 But wait, it doesn't stop there, you can use the Color Catcher feature to create your own unique LED cover patterns and themes, so that you can keep it fresh each and every day. Now for the camera, which is one of the aspects that I am personally really excited about. It has a 8MP rear camera complete with dual-tone flash, which makes it a great first camera for anybody looking to start taking some great photos. It's a point and click which will take some fantastic shots of our pup! 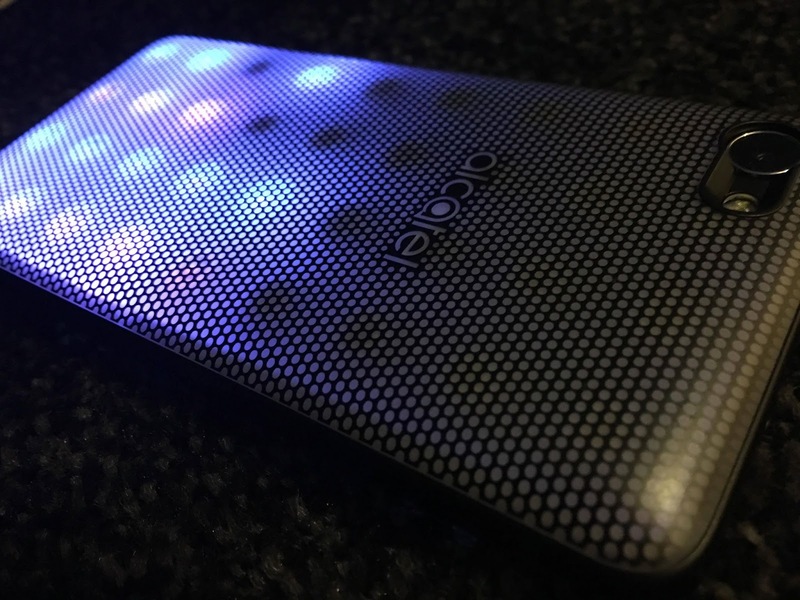 It has a 5MP front camera for those of you who are partial to a selfie or two, and this combined with the selfie flash means that you are going to get a fab shot even in low light (Snapchat will thank you! ), not to mention the Face Beauty software that will ensure that each snap comes out perfect. I have never used an android phone, so having a play around from this (coming over from the dark side of Apple) I have to say that I have been very pleasantly surprised. I have been installing child friendly apps onto it (and I was amazed to find Minecraft! ), and it has been a massive hit in the replacement of Leo's broken tablet. It's a whole lot of phone for a great price, at £169.99 it really does have a lot to offer and would make a great first phone. 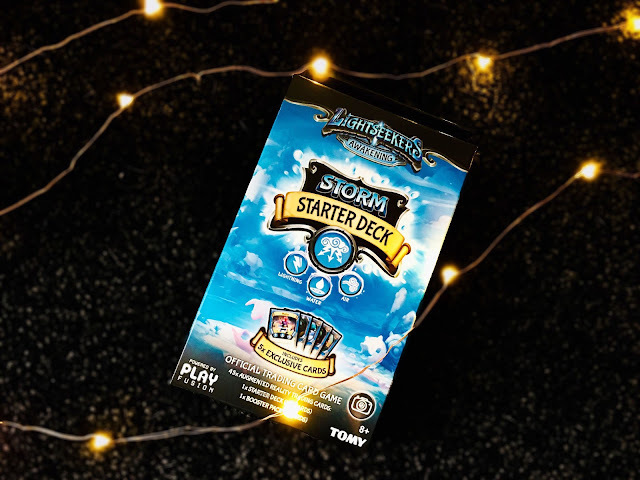 If your little ones do have access to a tablet or smartphone, then Lightseekers and connected play might just be something that you should be thinking about for Christmas 2017. It's a new concept to me, but I have to say that I was rather excited when this package turned up. We should probably start off with what connected play actually means right? Connected play means that you can equip a weapon or accessory onto an action figure and this will take effect instantly in the game! 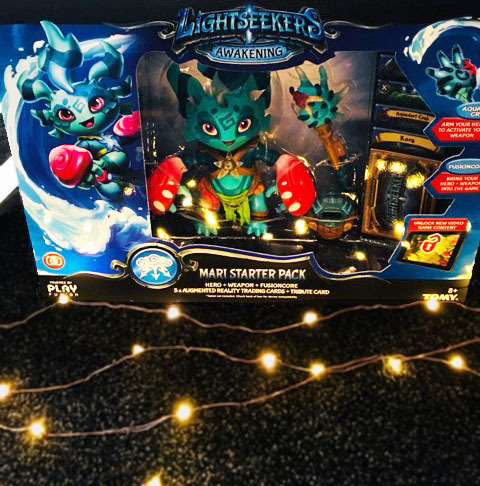 Lightseekers is the critically acclaimed action adventure game that is captivating children, it's a role play game set in the fantastical world of Tantos, that allows you to live the adventure yourself! It works through the means of the video game (available on tablets and smart phones, Android and Apple), and it combines interactive trading cards and smart action figures that have powerful mini-computers embedded inside them. The game is free to download with no in-app purchases and works on mobile phones and tablets. Figures and accessories connect via Bluetooth. 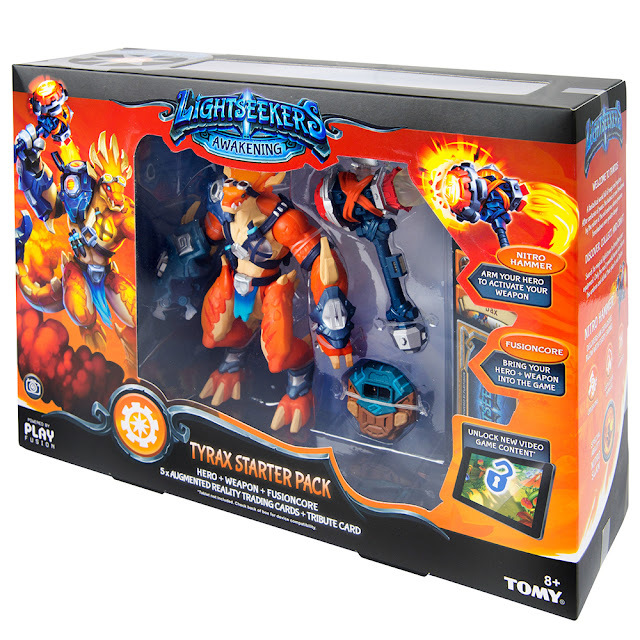 LightSeekers are manufactured by TOMY, each of the action figures can be actioned in real time with the game, they can talk, vibrate and use different coloured lights to show levels, status, warnings (danger is coming!) and help guide you through the gameplay. Sounds pretty cool? I thought so too! The Tyrax Starter Pack includes a Tyrax Smart Action Figure, Nitro Hammer Weapon, FusionCore minicomputer, 5 Augmented Reality Trading Cards, Unique Tribute Card, and mini USB charger. It also Includes exclusive hero and weapon cards and three powerful combo cards. These cards can be used offline in the Official Lightseekers Trading Card Game. 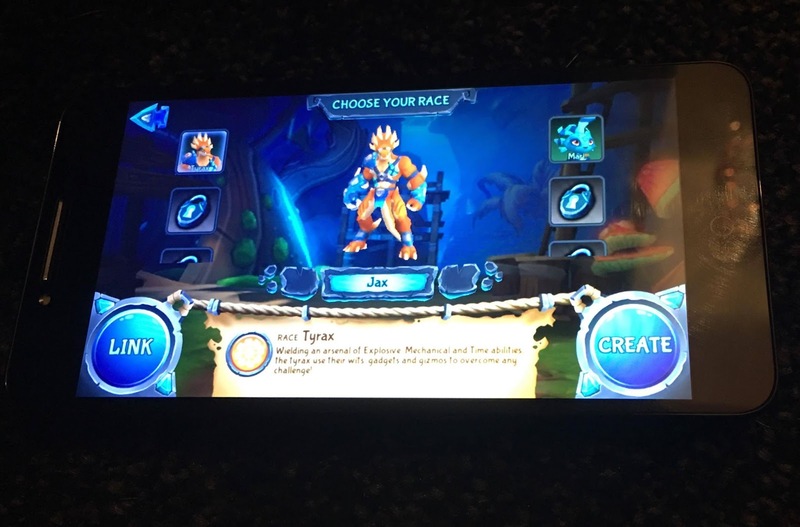 When scanned with the free Lightseekers Video Game, each card delivers augmented reality effects, rewards, and in-game abilities. Attach the Nitro Hammer weapon to your hero and it instantly appears in game! This 1-handed crushing weapon delivers explosive damage through the Nitro Slam special ability. Add lightstones and defeat enemies to level-up your weapon. The Mari Starter Pack has the same great benefits of the Tyrax pack but instead includes Mari. Both of the packs retail at £49.98 at Toys R Us. That's some of the bigger gift ideas covered for Christmas 2017, but what about stocking ideas? Spearmark have a great range of Star Wars Illumi-mate lighting out right now, and if yourself (other half or child) are fans of the feature films, then you definitely want to know about these! 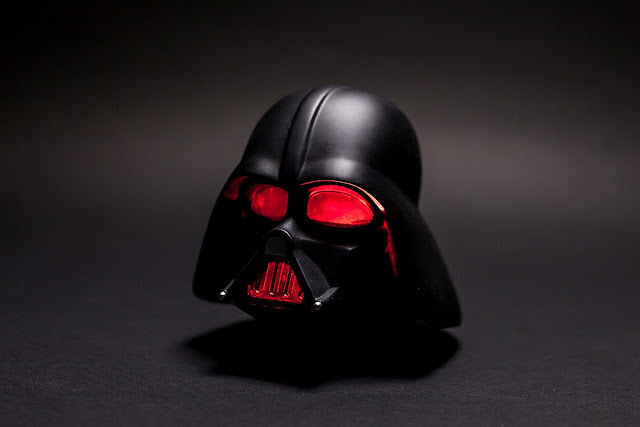 The Star Wars Illumi-mate lighting are battery operated which makes them fantastic night lights (they will just provide that additional reassurance when bedtime rolls around) and they can even change color. The line up has the Stormtrooper, Millennium Falcon, Chewbacca, Kylo-Ren or Darth Vader to cast a moody glow across the bedroom. 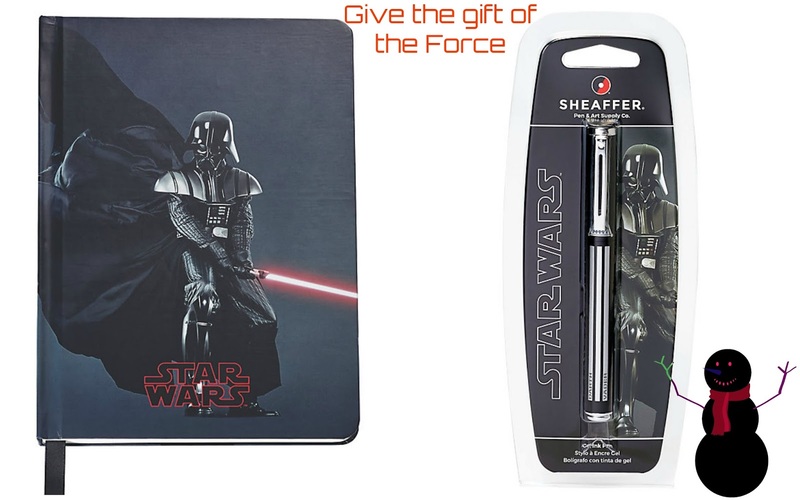 If you have a Star Wars fan then why not complete the set with this Scheaffer Star Wars Roller Pen (£16.00) and Scheaffer Star Wars A5 Journal (£15.00). 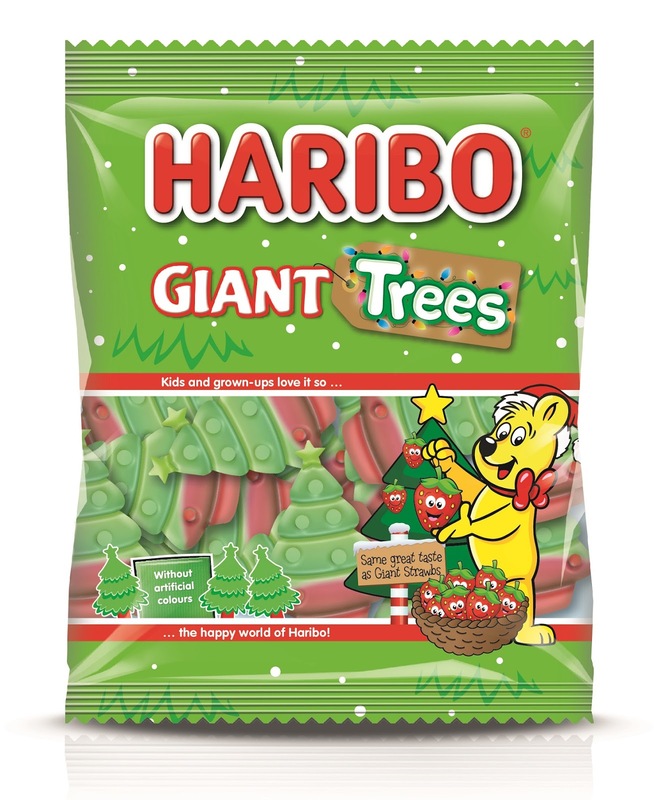 They make great stocking fillers and I love that it will encourage Leo with his writing. You might be noticing a theme by now, and that would be that Star Wars is a popular theme in this years gift guide! How could it not be though? Mitre bring you the Star Wars Scriball, a way to bring out the creativity within you and then some! It's not just colouring in, because once you have personalised the ball to your tastes, you can take it outside for a kick around! 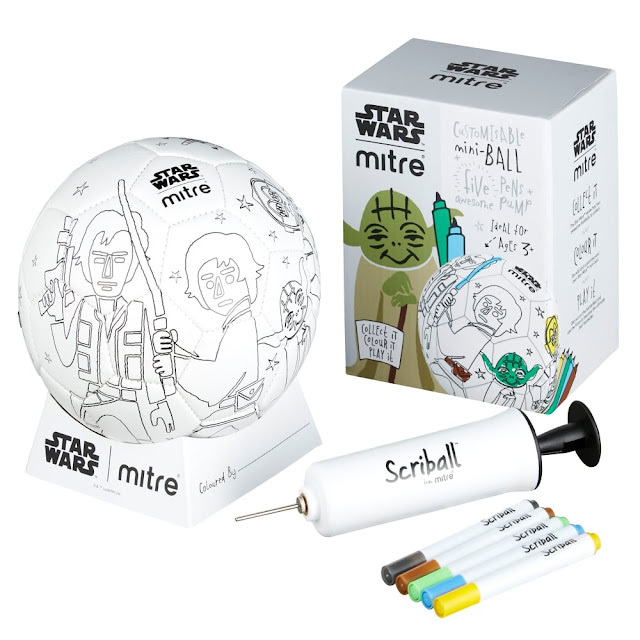 The pack comes complete with Ball Pump, Ball Stand, Scriball Pens and of course the ball! Cars has been a love affair with Leo since around the age of 2, and for a while it was hard to source the toys and merchandise, of course this all changed with the launch of Cars 3. We were thinking about getting Leo some new LEGO sets for the festive season, it's something that we can sit down together and do beneath the Christmas Tree, and now Cars 3 and LEGO are combined in sets, we couldn't help thinking how great that would be! If you are thinking on a stocking budget, then this Lightning McQueen Speed Launcher will make a great addition. 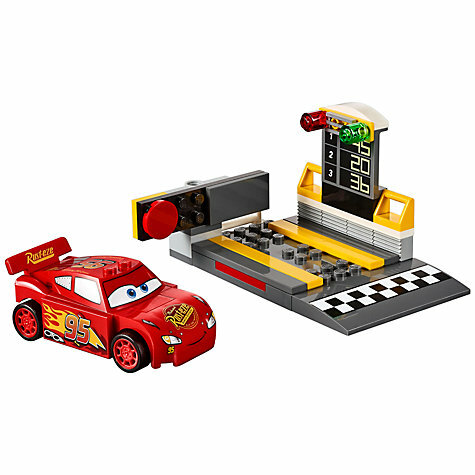 The LEGO Juniors Cars 3 Lightning McQueen Speed Launcher retails at £7.99. When the festive season rolls around it really is all about family time, and nothing brings the family together quite as well as a board game. Leo has never been a massive board game fan, and this is something that I really want to change, because it's the most amazing way to get the family all in one room, talking and laughing. 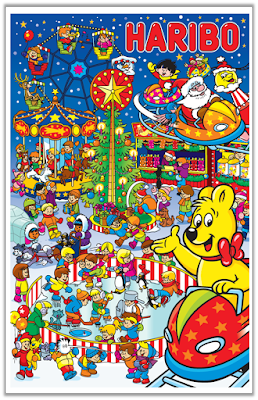 With that in mind I have been having a look at the Jumbo website looking for board game gift ideas that Leo would enjoy. Jumbo have a fantastic selection of different games and puzzles, but as soon I was drawn in very quickly by the Disney additions, the first one being the Cars 3 Piston Cup Race Game! 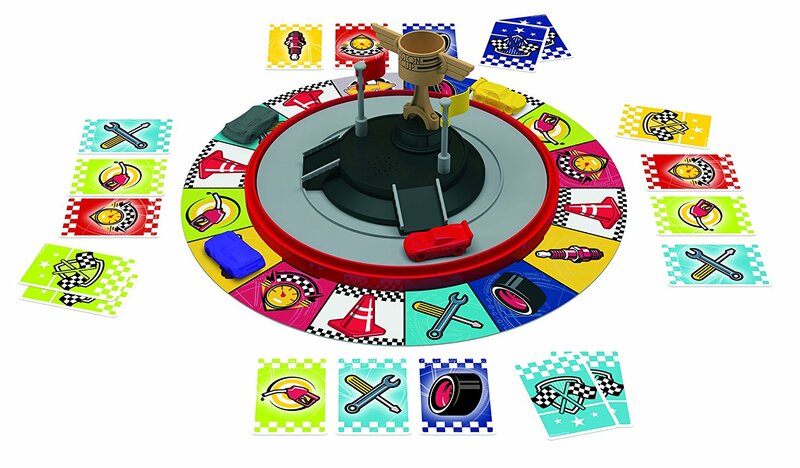 The aim of the game is to race of course, and the board is set up with a rotating race track that will help one of the players to speed off ahead and be the first to collect each of the different pit stop cards (There are 5 in total! ), the first person to collect each of the cards WINS the Piston Cup just like Lightning McQueen and Doc Hudson back in his hay day! This next game is probably more for me than it would be for Leo, it's called Guess the Film and it is of course another Disney edition. It's very similiar to Guess who but instead of guessing faces, you are of course guessing Disney films (which is so much better right!? ), and it is different in the sense that you only get one film holder, so you are all working together as a team to try and figure out which film the mystery image is. The idea is that you take it in turns rolling the dice and then open the door with the corresponding colour to the die. Each door reveals part of an image that will eventually from an iconic Disney film and it’s up to you to work out which film it is! The game changes each time you play as the game has 100 different film images to play around with, Finding Nemo, Frozen, Cars and 101 Dalmatians are among the film images! 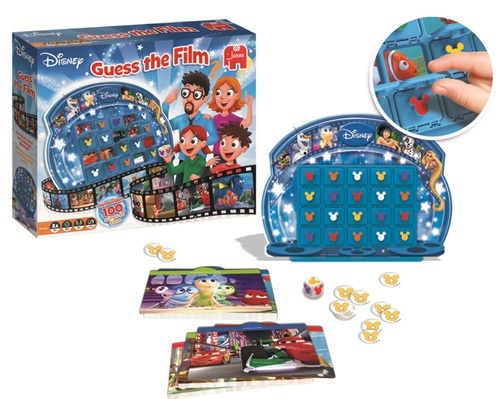 The Jumbo Disney Guess the Film Game retails at £30.00. 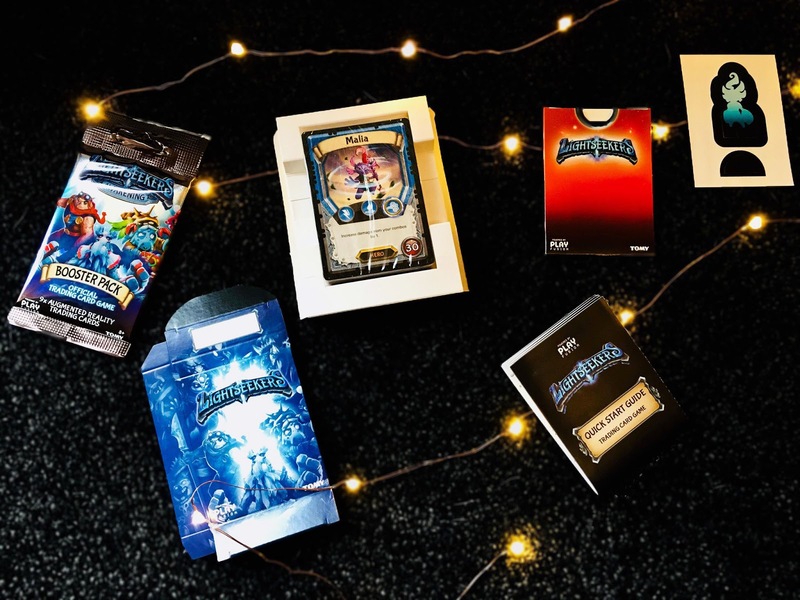 Both games would make lovely additions to Christmas Eve boxes, allowing children to unwrap something ahead of all the excitement the next day, and would provide a lovely family bonding exercise to keep them entertained before they head up to bed. 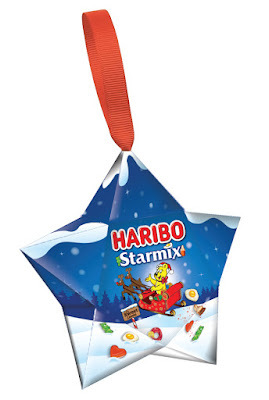 If you want an alternative to the traditional bauble to hang on your tree this year, look no further than this temptingly delicious decoration from HARIBO. Inside you’ll find a 50g pack of Starmix to enjoy in the countdown to Christmas – a perfectly tasty treat to add to the festivities. Christmas just got better! 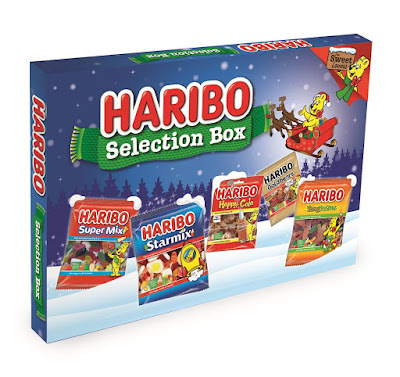 HARIBO’s favourite treats all in one box. 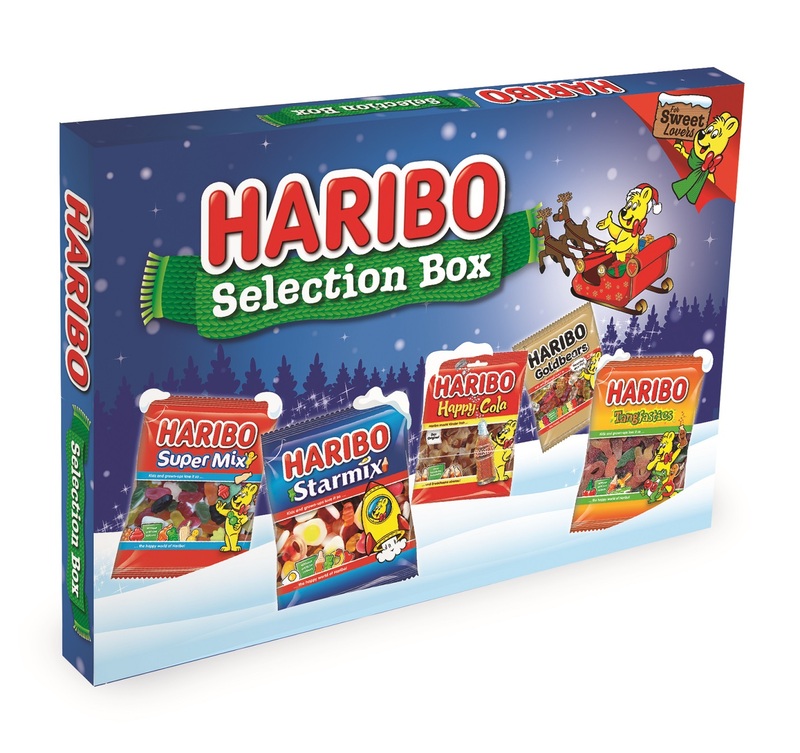 This gift box contains a tray with Starmix, Super Mix, Giant Strawbs, Jelly Babies, Tangfastics and Gold Bears – a super surprise for your loved one to unwrap come Christmas morning. 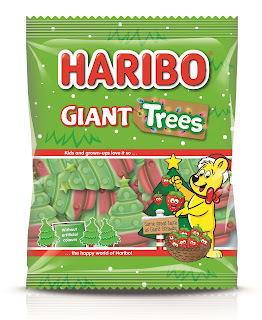 Now you can count down to Christmas with the HARIBO Advent Calendar. Containing a selection of mini bags hiding behind 24 windows, there’s a sweet treat to help little (and big) kids count down to the special day. Disclaimer: The items featured within this guide have been sent over for the purpose of this feature. All views and opinions expressed are completely honest and my own.